On September 28-30, 2018 a regional seminar "Yiddish language, theater and folklore in the 21st century" was held by the International Yiddish Center at the World Jewish Congress and the IWO Argentina institute at the Kehilá (Jewish community) in Rosario, Santa Fe province, Argentina. The city of Rosario is located 300 km north-west from Buenos Aires. 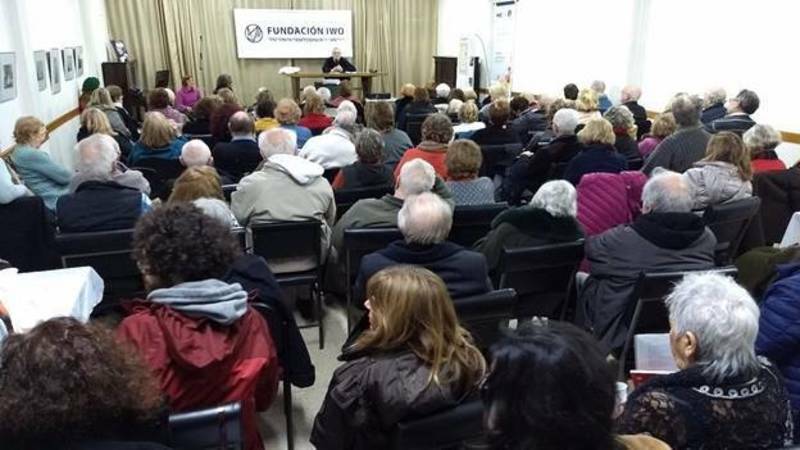 More than 120 people from Rosario and the neighboring towns Moisesville and Paraná took an active part at the seminar. The event seems to have met its goals in promoting awareness of Yiddish language and culture among diverse audience. Upon the request of the community, the seminar began on Friday evening, immediately after the Shabbat entered. The Temple of the Kehilá was overcrowded. The key talk "The miracle of Jewish holidays" was given by the IWO Argentina director, Professor Abraham Lichtenbaum. The lecturer presented key concepts in Jewish linguistics and traditions, after which he focused on different representations of holidays in the Yiddish literature, theater and folklore. The scholar also explained the shaping of Ashkenazi identity as a interweaving of ethical thoughts, rituals and art forms. In his closing words Professor Abraham Lichtenbaum emphasized the role of IWO in preserving and communicating Jewish and Yiddish Culture and thanked WJC YC for supporting this program, for recognizing the importance of encouraging Jewish life – also in smaller communities which are distant from the major organizations' headquarters. The singer Mijal Orlian gave a concert of Yiddish and Hebrew songs, illustrating Prof. Lichtenbaum's talks. Both the participants and the Kehila authorities expressed their gratitude and interest in hosting a new edition of this Regional IWO seminar early next year. With the Kehilá representatives it is agreed that next such activities would not take place on Shabbat, since the rabbi did not authorize the use of projector and audio electronic appliances, nor taking photographs.